Program from the film River of Fundament by Matthew Barney and Jonathan Bepler. Myself and my University of Michigan and Detroit Symphony percussion colleagues appear in the credits as the Percussion Ensemble in Part II: KHU. 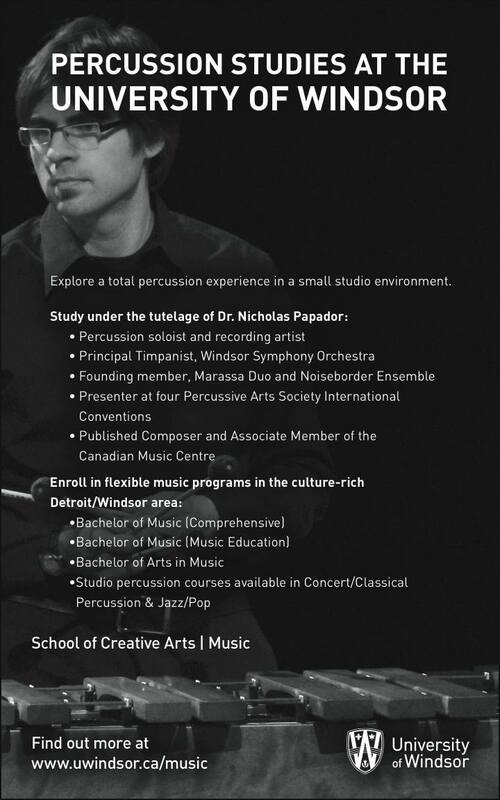 Percussion Studies at the University of Windsor! 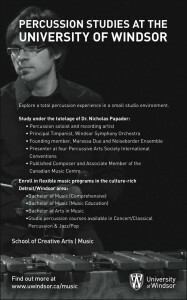 Great new ad for my percussion studio and the music programs at the University of Windsor. Auditions are coming up. Come on down! 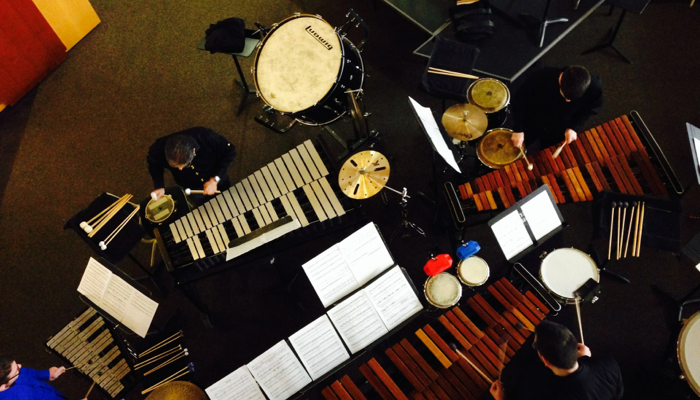 Noiseborder Ensemble Performance with Matalab! 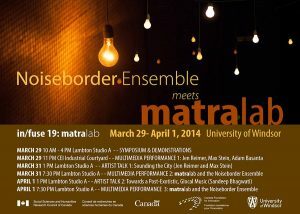 Great performance coming up with Noiseborder Ensemble and matralab. Not to mention the fact that Keith’s site is just plain cool all around! I pleased to announce that as of July 1, 2014 I will receive tenure at the University of Windsor and will be promoted to the rank of Associate Professor in the School of Creative Arts – Music. It’s been a long road with many successes and challenges along the way. Thanks to all of you who have sent well wishes! Lots activities in the last month. I greatly enjoyed the two recent Windsor Symphony cycles: our concert performance of Bizet’s Carmen and the recent pops concert featuring our assistant concert master Tino Popovic. Noiseborder Ensemble is gearing up for a residency with the Sandeep Bhagwati from Concordia University’s Matralab. We’ll share a performance on April 1 at the University of Windsor. I was pleased to have a masterclass and recital at the University with Philip O’Banion from Temple University on March 5. His new program is really enjoyable with some innovative technological interactions. I look forward to setting up my appearance at Temple in fall 2014.